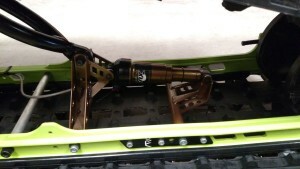 First, lubricate the rear suspension at the three Zerk fittings. Next, siphon out any fuel older than about 60 days. Or, if your fuel isn’t that old, you can burn the fuel by running the engine until the fuel gauge reads one bar. But don’t run it totally dry. 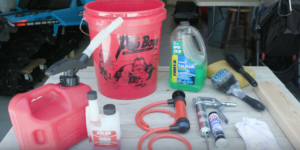 Add fuel stabilizer to a gallon of fresh non-ethanol gas. Then add the mixed fuel back into the snowmobile tank. If you don’t have ethanol-free gas near you, just use premium. -Place your sled outside, or in a well-ventilated area. -Start the engine and let it run at idle until the coolant temperature warms up to about 3 or 4 bars on the display. -Cycle through the modes, stopping at the odometer. -Release, then press and hold the mode button one more time for 3 seconds. -When the gauge reads “Oil,” release the mode button and wait for the engine fogging to complete. This takes about 15 seconds, during which the engine will rev up to about 1600 RPM. 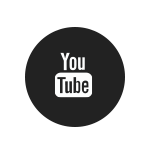 Let the process complete interruption-free. At the end of the process, the engine will automatically shut off. Once you’re done fogging the engine, it’s recommended not to run it again until next winter. Once your engine is fogged, wash your sled with mild soap and water to prevent corrosion from salt deposits. 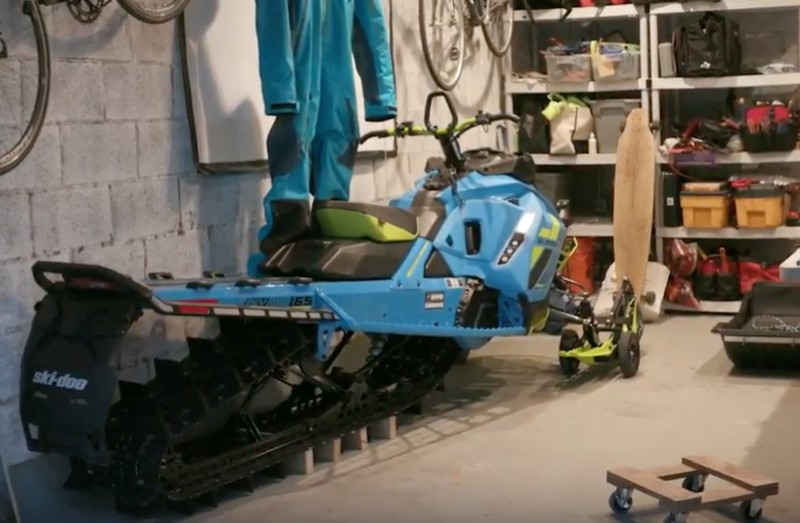 Wheel or lift your sled into its summer storage location. Once it’s in place, we want to raise the track off the ground to keep the paddles from forming to the surface below. I’m using 2×4 blocks cut to 18 inches. Use blocks, rollers or a snowmobile lift to keep the rubber track off the ground. Now cap the muffler opening to keep debris and rodents out. Store your sled in a shaded and cool environment. Or, if you must store it outside make sure to use a quality cover that is well secured. Wille Rajala on uusi tuttavuus MK-lehden avustajakaartissa. Miehen ensimmäinen juttu viime kevään kakkosnumerossa käsitteli Brett Rasmussenia ja edellisessä MKlehdessä oli Rajalan raportti Hay Days –tapahtumasta. Mutta kuka oikein on Wille Rajala? Ensimmäisen lumilautansa 45-vuotias Wille Rajala kertoo rakentaneensa vuonna 1982. – Kun navetan katolta pääsin laskemaan lumen pinnalla muutaman sekunnin, tunne oli todella mukaansa tempaava, Rajala muistelee. Oikealla lumilaudalla Rajala ryhtyi laskemaan vuonna 1984, joten hän kuuluu alan pioneereihin Suomessa. Laji vei nuorukaisen mukanaan kertalaakista pariksikymmeneksi vuodeksi. Vuonna 1985 hän osallistui SMkilpailuihin ja vuotta myöhemmin ensimmäisiin EM-kilpailuihinsa. Tuolloin lautailu oli pääasiassa samanlaista ratalaskua kuin kahdella suksella kilpailtavat alppilajit. Rajala kiersi maailmancupin lautailukisoja Keski-Euroopan lisäksi myös Pohjois-Amerikassa ja Japanissa vuoteen 1999 asti, jolloin hänen poikansa syntyi. Vuosien mittaan hän alkoi laskea yhä enemmän rinteiden ulkopuolella. – Haluan tuntea kurvien g-voimat jalkojeni alla uudelleen ja uudelleen. En ole koskaan ollut innostunut lumessa tarpomisesta, joten sekä moottorikelkka, lumikissa että helikopteri tulivat tutuiksi pääsemisessä lumisten vuorten huipuille Pohjoismaissa ja Amerikassa. Iän myötä Rajala kertoo tulleensa aina vain valikoivammaksi kelin suhteen. Lumen pitää olla sopivaa, näkyvyyden hyvä, muiden jättämiä jälkiä ei mielellään saa olla näkyvissä, rinteen on oltava riittävän pitkä ja jyrkkä. Lopulta laskeminen alkoi muuttua haastavaksi, ainakin niin että Rajalan vaatimukset olisivat täyttyneet. Bret Rasmussen on vuoristokelkkailun pioneereja, moninkertainen kukkulan kuningas ja elävä legenda. Hänen tyylillään on menty moottorikelkkailun maailmassa jo pidemmän aikaa, vaikkei suuri yleisö ole asiasta välttämättä tiennytkään. –yritystään Bret pyöritti vaimonsa kanssa lähes 25 vuotta, kunnes ryhtyi puuteritieteen professoriksi. Pienessä idaholaisessa Prestonin kaupungissa ajokoulua pyörittävä professori on kaukana moottoriurheilumaailman kapinallisista ja räväköistä kommenteista. Hän on 57-vuotias, pienikokoinen, kohtelias ja hillitty herrasmies. Äkkiseltään ei uskoisi, millaisista paikoista hän saa kelkan vuoristossa kulkemaan. BRP is amplifying its efforts to provide avalanche education and awareness by sponsoring more than 40 free seminars throughout North America for the seventh straight year, and adding two strong partners to further the effort. New this year is support for the seminars from Backcountry Access (BCA), one of most well-known and respected manufacturers of avalanche safety equipment in addition to joint sponsoring of the new Backcountry Ascender online education platform. Combined, the two platforms will ensure an increased number of riders have access to essential tools for avalanche education. More than 13,000 snowmobilers have taken part in Ski-Doo-sponsored avalanche awareness seminars since 2009. The in-person seminars offer engaging content for riders of all skill levels, and riders of all brands are welcome and encouraged to attend. Those who register to attend are also encouraged to bring their friends and riding buddies to ensure people they ride with are also well informed. In addition to sponsoring seminars, BRP and BCA are also teaming up with Backcountry Ascender, a recently-unveiled online platform. It is free, and is a self-directed program that provides basic avalanche education and encourages traditional courses to advance to higher levels. Much of the course content can be completed online, and it will direct users to relevant in-person courses like the BRP/BCA-sponsored seminars. Backcountry Ascender is supported by the International Snowmobile Manufacturer’s Association (ISMA), of which BRP is an active member. Seminars in Canada are led by Marshall Dempster, a recognized avalanche forecaster, a Lead Instructor (AST1 and 2) and Backcountry Guide. Dempster is a Professional Member of the Canadian Avalanche Association, professional forecaster and certified Canadian Avalanche Rescue dog handler. He has 15 years of mountain experience focused on safe travel as well as mountain rescue and a passion to share his knowledge. Mike Duffy of Avalanche1, a recognized snowmobile expert in avalanche awareness, leads seminars in the United States. Duffy has American Avalanche Association Levels I & II, AvPro Level III and Instructor certifications, teaches at Colorado Mountain College and Silverton Avalanche School, and has been giving snowmobile-specific avalanche classes since 1996. Duffy has more than 25 years of mountain riding and mountain rescue experience. This is his fifth year working with BRP. 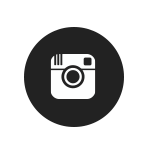 Ski-Doo Blog and be sure to follow Ski-Doo on Facebook. Most seminars are combined with an open house or mountain-riding event. Participants are encouraged to register with the host dealer so they can plan meeting space accordingly and ensure a spot. association, dealer and snowmobile brand. Ride Rasmussen Style Lands in Europe! The Idaho, USA based snowmobile riding school Ride Rasmussen Style will launch its European operations in January 2016 based in the Arctic Circle Finland. Bret Rasmussen, the founder of Ride Rasmussen Style and a legendary snowmobile racer and innovator is thrilled to start the new era for his beloved riding clinics. 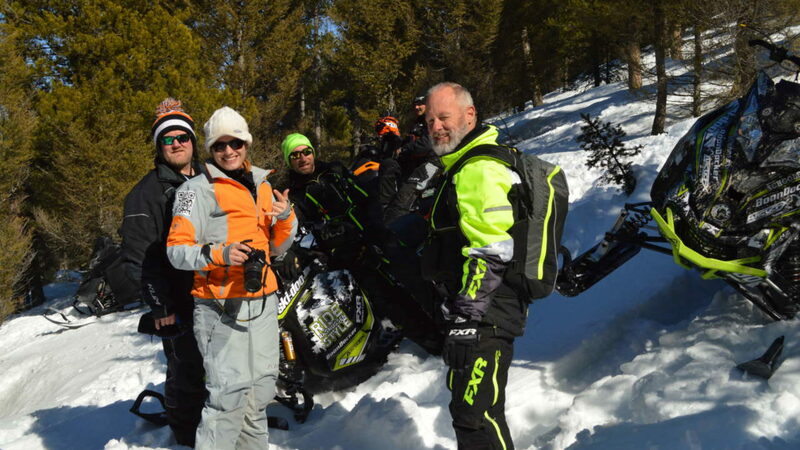 Bret Rasmussen who has been involved in winter motor sport for decades, have always wanted to share his knowledge as well as his skills with other riders, allowing riders to advance in the backcountry as fast as the snowmobiles develop annually. Ride Rasmussen Style is located in Preston, Idaho and headquarters its operations in West Yellowstone, Montana and has also featured clinics in Utah, Wyoming, Colorado and Montana. Annually, Bret Rasmussen has also been invited to school riders in various other countries and continents. As a result of high sales in mountain sleds, there is a natural demand for educating the existing riders as well as new comers. The Ride Rasmussen Style clinics instruct riders on how to set up their machines and provide instruction on riding techniques providing more enjoyment while in the backcountry. The Ride Rasmussen Style Europe representative is Wille Rajala, a former multi time snowboard champion and one of the pioneers in starting the sport in 1984 which was based in Finland. 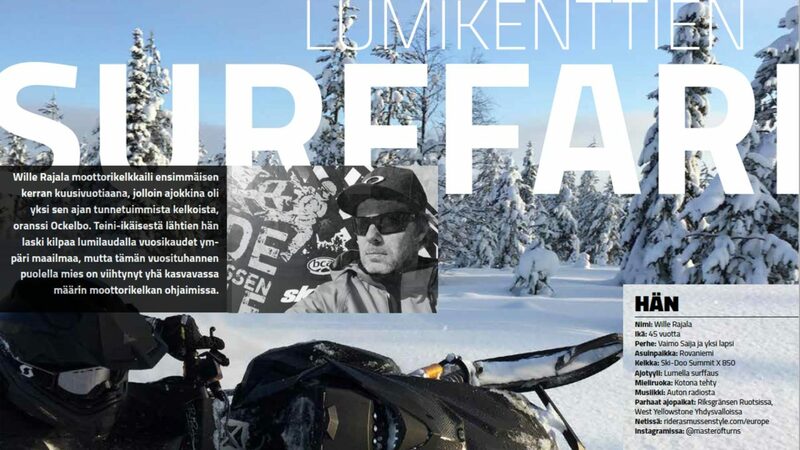 Wille Rajala is a Finnish Lapland based entrepreneur and experienced mountain rider from a town called Rovaniemi, which is the home of the only BRP snowmobile plant in Europe. 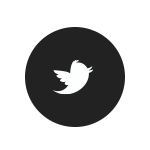 Wille Rajala has strong background in branding and business development. He is a husband and a father to one teenager son. After leaving the global snowboard circuit to be an entrepreneur, he kept mountain life close to his heart. He feels now is the perfect opportunity to get back to nature and snow, the elements he loves the most. The operations will start in the first quarter of 2016 operating in the mountains of Swedish Lapland. The first Ride Rasmussen Style Europe Camp will be held in April 2016. More organized details will be announced in January. The idea for launching the Ride Rasmussen Style Europe operations developed between both parties during 2015. Bret Rasmussen is a very experienced rider and highly appreciated person that visits global events. He feels that this opening is the first attempt to bring his strong team of schooled and skilled teachers in front of the snowmobile industry. It’s Bret’s hope the Ride Rasmussen Style clinics will advance providing more opportunities in other countries. Wille Rajala is in charge of all European activities and camp inquiries, as well as for official merchandise. Bret Rasmussen is looking forward to the new European activities and territories joining the Ride Rasmussen Style experiences. He is confident Wille Rajala is the right person to lead the new Ride Rasmussen Style chapter. (Preston, ID, November 25, 2015) Ride Rasmussen Style is excited to announce that all operations will be based in West Yellowstone, Montana for the 2016 snowmobile season. The businesses in West Yellowstone and the West Yellowstone Chamber of Commerce have stepped up and helped Ride Rasmussen Style secure this adventure. Working with Yellowstone Arctic Yamaha and Yellowstone Adventures, Ride Rasmussen Style will offer clinics to snowmobilers looking to step up their game in the backcountry. 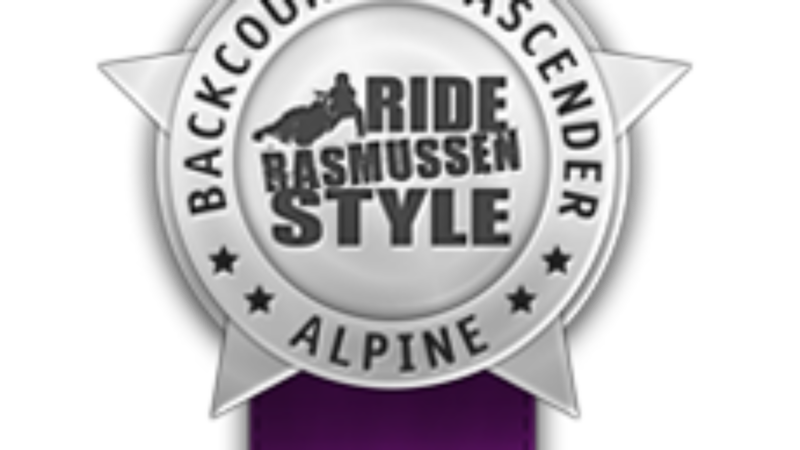 Ride Rasmussen Style has a team of eight certified instructors that have been trained by Bret Rasmussen, “The Professor” himself and hold Wilderness First Responder and Avalanche certifications. For more information on the instructors please visit www.riderasmussenstyle.com. The Ride Rasmussen Style clinics will help advance your abilities. It’s the company’s goals to help you succeed in the backcountry and push your boundaries to become a more responsive rider. Please don’t feel like you’ll hold back the group; the instructors are trained to deal with all levels of ability and will guarantee time with everyone. The goal is to teach and then practice. We encourage you to spend a few days on the snow with our team. This will allow you to learn the new skills the first day and perfect and practice the next. Ride Rasmussen Style was stablished in 2009 to serve the snowmobile community in becoming safer and more responsible in backcountry settings around the world. It’s the company’s mission to help snowmobile riders achieve the ability and confidence to ride in the back country without taking personal risks that would otherwise be life threatening. Ride Rasmussen Style helps snowmobilers with their skills and techniques to improve their backcountry experience. The company promotes fun and safety in the great outdoors. Ride Rasmussen Style hosts backcountry riding clinics and seminars on location to snowmobile groups around the country and Canada such as riding groups, dealership promotional groups, corporate retreats and incentives, sheriff’s search and rescue groups, military, as well as individuals and many others. 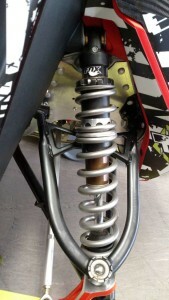 To learn more about Ride Rasmussen Style’s operations visit www.riderasmussenstyle.com. Ride Rasmussen Style in partnership with Yellowstone Arctic Yamaha operates under a special use permit with the U.S.F.S. Gallatin Custer Ranger District. (Preston, ID/Mandan, ND November 24, 2015) Ride Rasmussen Style is pleased to welcome Driven as the company’s Operations Manager. Driven has been an instrumental in helping Ride Rasmussen Style become a leader in technical riding snowmobile clinics. 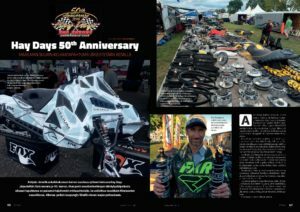 Applying for permitting, developing and implementing marketing strategies, scheduling events and riding clinics, are just a few of the tasks Driven has contributed towards making Ride Rasmussen Style an exceptional lifestyle brand in the snowmobile industry. Together Driven and Ride Rasmussen Style, go above and beyond to improve the experiences of our clientele. The number one goal is to make sure everyone has an outstanding experience, filled with amazing memories to last a lifetime. Both companies are #driven2pushboundaries and excited for the future. Together they will continue to #NeverStopPushing and help shape the world of backcountry snowmobiling. Driven cares about your business and wants to help companies succeed with them as a team. 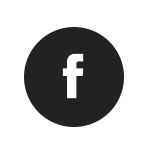 Driven focusses on the clients needs and creates customized packages to assist with the following: design and web, social media management, business & non-profit management and freelance writing. To learn more about these services please visit www.driven2pushboundaries.com or contact info@driven2pushboundaries.com. 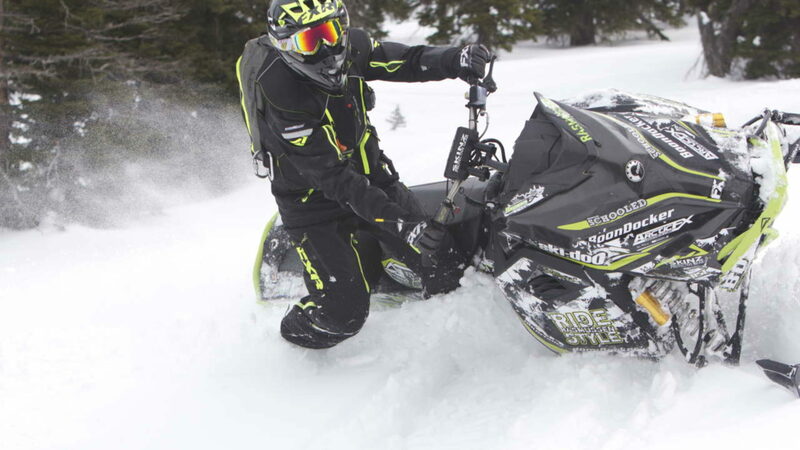 Driven in partnership with several businesses created a Driven Team to bring elite backcountry riding schools to snowmobilers. The schools focus on making snowmobilers better riders in the backountry teaching rider techniques and avalanche awareness. The Driven Team includes: Cameron Chimenti with 3C Guiding, Pro Backcountry Freerider Brandon Chimenti, Steven Marlenee with Marlenee Photography, Bret Rasmussen with Ride Rasmussen Style and Tracy Long with Tracy Long Photography. Together this teams provide an experience on the snow that will never be forgotten. To learn more about the schools please visit www.sledchatter.com. 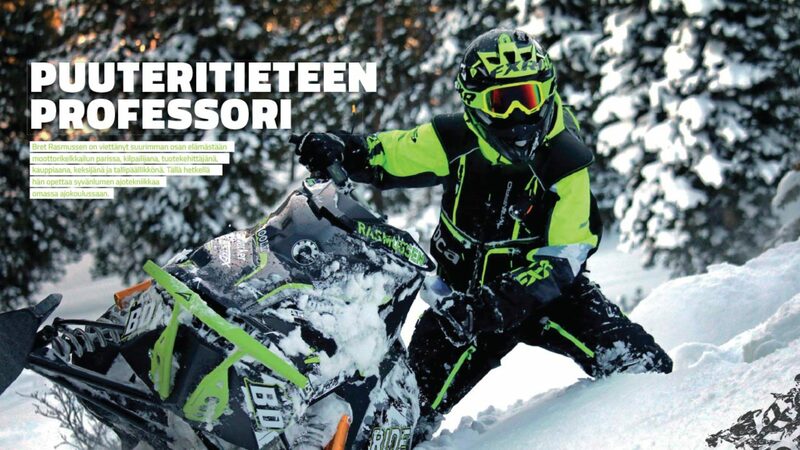 Ride Rasmussen Style was stablished in 2009 to serve the snowmobile community in becoming safer and more responsible in backcountry settings around the world. It’s the company’s mission to help snowmobile riders achieve the ability and confidence to ride in the back country without taking personal risks that would otherwise be life threatening. Ride Rasmussen Style helps snowmobilers with their skills and techniques to improve their backcountry experience. The company promotes fun and safety in the great outdoors. Ride Rasmussen Style hosts backcountry riding clinics and seminars on location to snowmobile groups around the country and Canada such as riding groups, dealership promotional groups, corporate retreats and incentives, sheriff’s search and rescue groups, military, as well as individuals and many others. New for 2016, Ride Rasmussen Style will headquarter all operations in West Yellowstone, Montana. To learn more about Ride Rasmussen Style’s operations visit www.riderasmussenstyle.com. Over the last 5 years, Renton Coil Spring and Bret Rasmussen have developed a revolutionary titanium spring package designed to increase handling characteristics, and performance. For backcountry riding, adding the RCS Regressive Ski Spring Kit is the biggest improvement you can make to your sled. This patent pending system starts out with the constant spring rate of the main spring. When compressed to a certain point, the helper spring is engaged and the spring rate drops. This continues until the helper spring reaches full travel and the rate returns to that of the main spring. This “regressive” rate curve helps from overloading one ski when side-hilling or when you’re on uneven terrain. The front arm is the point of initiation of the skid travel. RCS has developed a progressive spring package which starts out soft and gradually increases in spring rate. 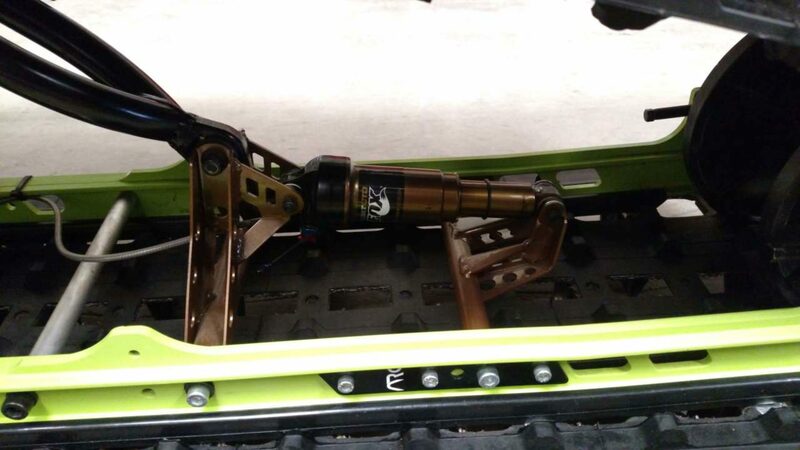 This softer initial rate enables the skid to begin traveling earlier than stock setups and gradually gets stiffer to protect the suspension from bottoming out. To complement the progressive front arm spring, we’ve spec’d stiffer torsion springs along with our patented rising rate torsion blocks. This setup again starts out softer and progresses into a stiffer spring rate to prevent the suspension from bottoming out. RCS has been supplying top manufacturers, racers, and backcountry enthusiasts with high performance springs for over 15 years. 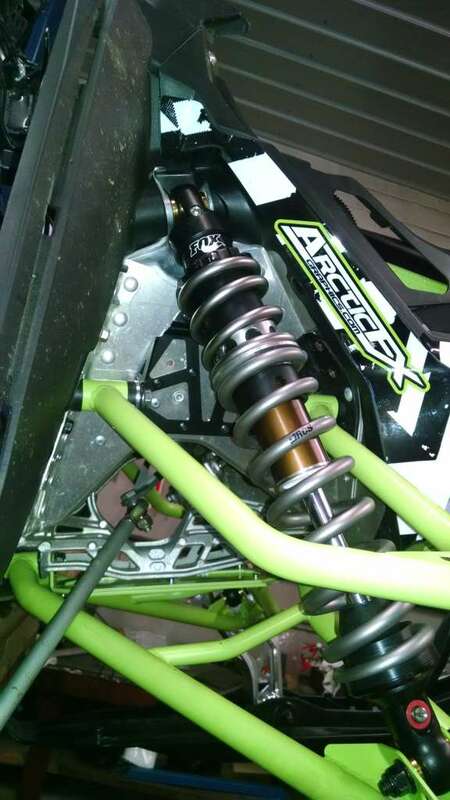 Whether you’re a racer looking for an advantage or a consumer looking for the best performance from your sled, RCS Titanium Springs are worth every penny. For more information please contact us at info@rentoncoilspring.com.